Mr. Horace G. Dwiggins III entered in to eternal rest on July 23, 2018. Memorial service will be held on August 16, 2018 at 11:00am in the Divine Mortuary Chapel. Visitation will be held on August 15, 2018 from 6:00pm - 8:00pm. Beloved Son, Brother, Uncle, Nephew, Cousin and Friend. Horace G. Dwiggins peacefully departed his life at the age of 68 at the Veteran’s Memorial Hospital, Decatur, Georgia on July 23, 2018. Family members were present. Horace was born on August 23, 1949 in Tuskegee, Alabama at the John A. Andrews Memorial Hospital to Dr. Horace and Mattye Dwiggins. 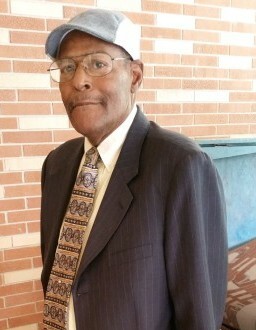 Horace attended elementary school in Tuskegee and was graduated from high school in 1969 in Tucson, Arizona. He attended two years of college at Arizona Western College in Yuma, Arizona and attended several classes at the University of Arizona in Tucson and refresher classes at the University of Missouri in Kansas City after serving in the U. S. Army. Horace was drafted into the military at the height of the Vietnam war. He served for two years as a supply personnel at the Ft. Polk Army installation in Louisiana. Horace opted to not reenlist but to peruse civilian activities. The late 1960’s and early 70’s were turbulent times in America. Horace was unable to cope with some of the harsher realities of every day life and sought solace in alcoholic beverages. He suffered with this addition over the next two and half decades. Horace found support from his brother, Roy and his wife Sheila and relocated to their location wherever they moved. The Lord allowed these difficult times in Horace life to later prepare him for some important work. Through all of the difficult times Horace always pursued his two favorite hobbies. Golf and fishing; and how he loved fishing. Horace always ate very well; which sustained his life. He was a avid reader of novels and his mother would supply him with novels she had read and they would discuss them at length. Horace had a brilliant mind and would often amaze folk as he beat the eventual winners in JEOPARDY with the question. Horace had NO filters, no ego and he bore no judgement toward anyone. He expressed love to all and only wanted to be loved in return. He would engage in conversation EVERY single person he came in contact with. Often not being politically correct; saying whatever came to his mind. This ability to engage would serve him well in his later years. Horace worked a variety jobs and professions from sales, cook, auditor for the FDIC, to painting. For a brief period he started his own painting company which eventually led him to a job in North Georgia. While in North Georgia, in 2010, the Lord almost took Horace, but Horace must have struck some kind of a deal to use lessons learned for the benefit of many so God granted him eight more years. During that eight years he embraced the 12 Step Program which helped him to stop drinking. He attended meetings regularly and supported others in their desire to change the course of their lives. He has had a positive impact on hundreds of folks in those eight years; proving that God has a purpose for all our lives. Horace passing leaves an enormous hole, but fond memories, in the lives of all who knew and loved him. He is preceded into the after life by his mother Mattye O. Boddie and brother Tim Boddie. He leaves to cherish his memory his dad General J. Timothy Boddie, Jr., USAF(retired); brother Roy M. Dwiggins wife Sheila and son Roy Jr.; brother Colonel William O. Dwiggins, USMC (retired) wife Margaret and children Alexandria, Timothy and Austin; cousins Vashon Eagleson, Barney Eagleson, Deidra Coney and their families; his uncle Dr. William Boddie and family; his loving family at the Clarkston 12 Step Program and all of his friends far and wide. Everywhere Horace went he collected lives. His wall of fame is not a wall but the many lives he had the honor to impact. He believed in giving one of his most valuable possession to all he befriended. His Time. He knew that whenever someone reached out to him for a ride, a joke, a phone call, a moment, a ‘let’s get something to eat' it was really about finding out that they were important and worthy enough that he would give them his most prized possessions. His Time and his Love.